Spring is here!! Ok well it was only a late winter day with abnormally warm weather but that didn’t stop me from putting on some spring attire. 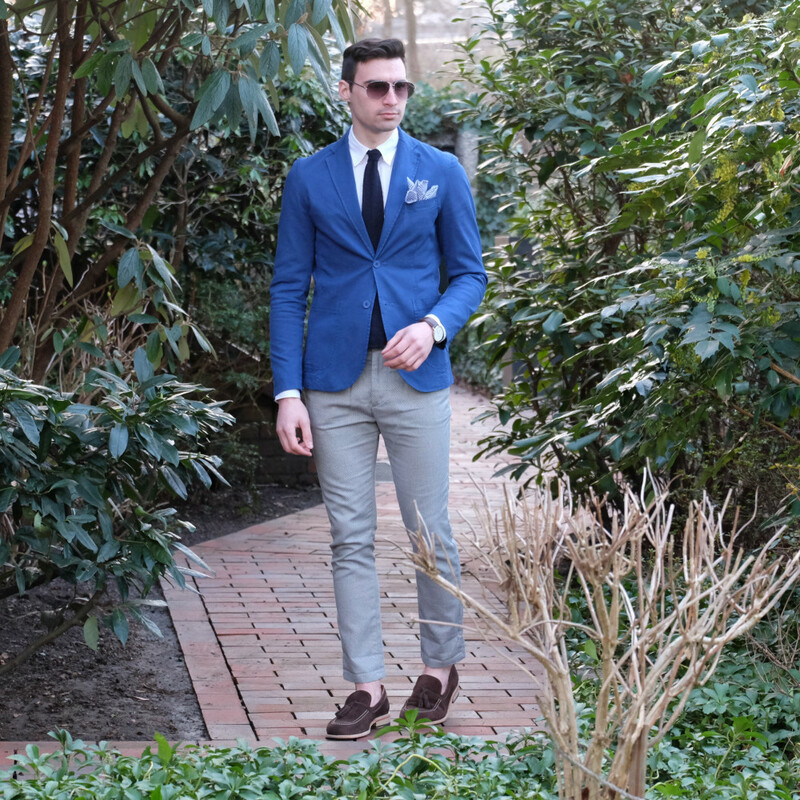 This look is dominated by the bright blue blazer. 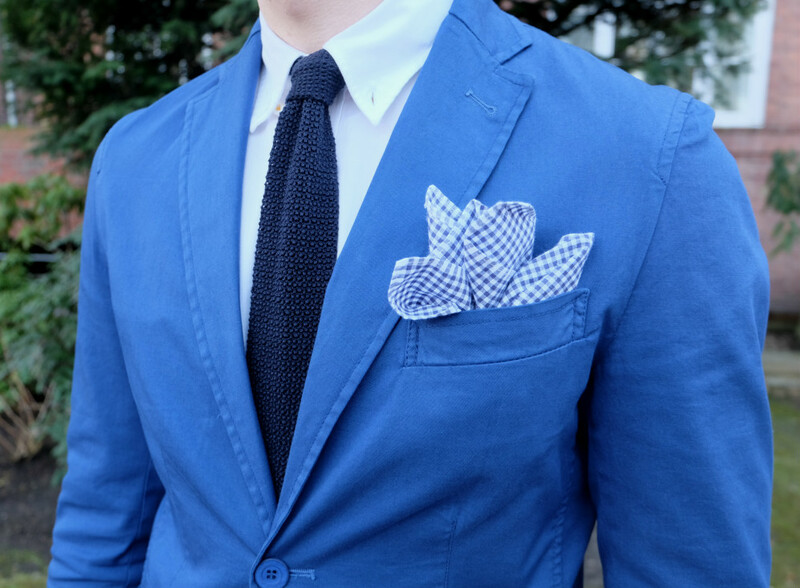 This royal shade of blue is a color that we will definitely be seeing a lot of in the upcoming months. It’s a color that I fell in love with after seeing it being worn by all the menswear influencers during Pitti Uomo earlier this year. I think the best way to wear such a powerful color is to let it be the star. Simply wear a white shirt and solid colored knit tie and you are ready to go. As for pants I went with something a little different and fun. These polka dot printed trousers are the perfect subtle way to add a print to your outfit. 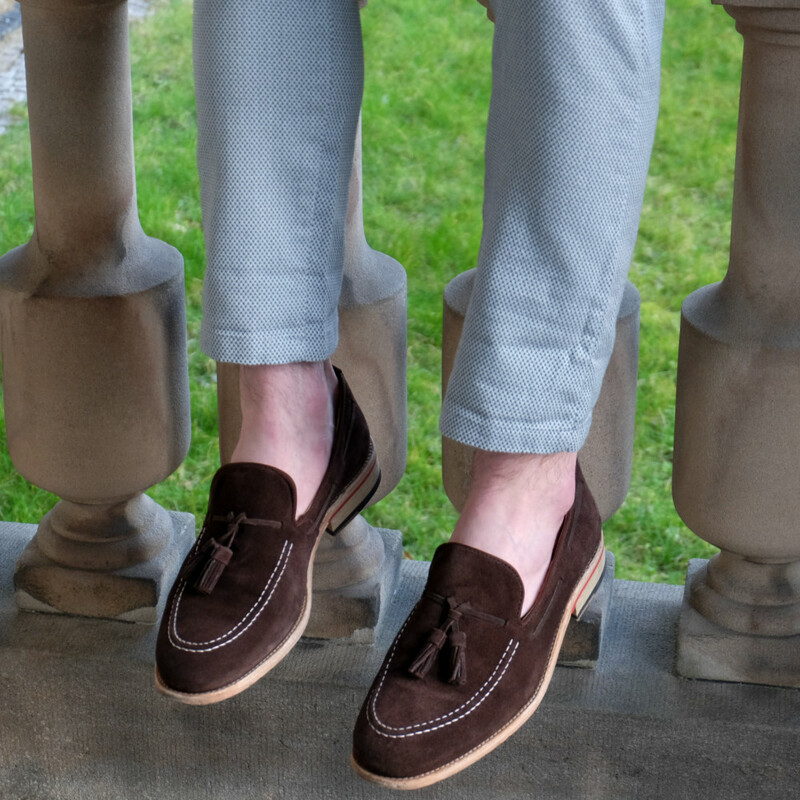 I was also extremely happy to be able to let my ankles breath a little as I went sock less for the first time this year with one of my favorite pairs of tassel loafers. 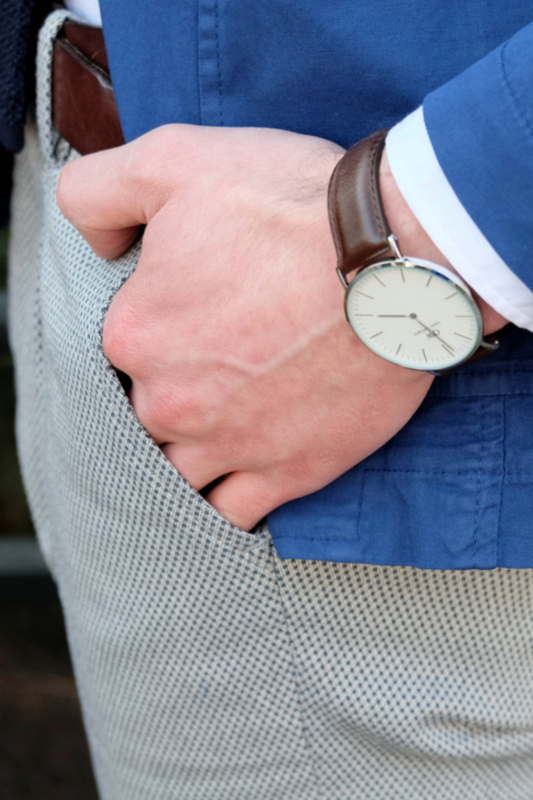 I finished the look off with my Daniel Wellington watch that I love so much. If you missed my previous post featuring the Classic Bristol watch from DW make sure to check it out. Also don’t forget to head over to danielwellington.com to view their great products and once your shopping cart is filled, use the code DW_mimosas to get a 15% discount. I hope you enjoy! Hello there! 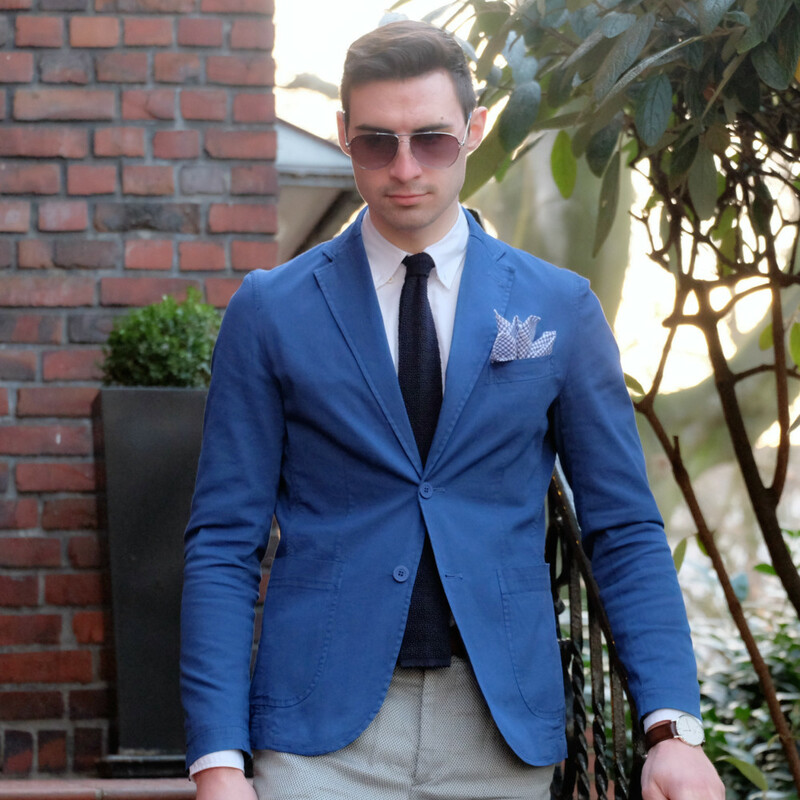 Great outfit, love the blue blazer! Great photos! I love all of the blues - good color for you! love the blue! great pics, congrats! 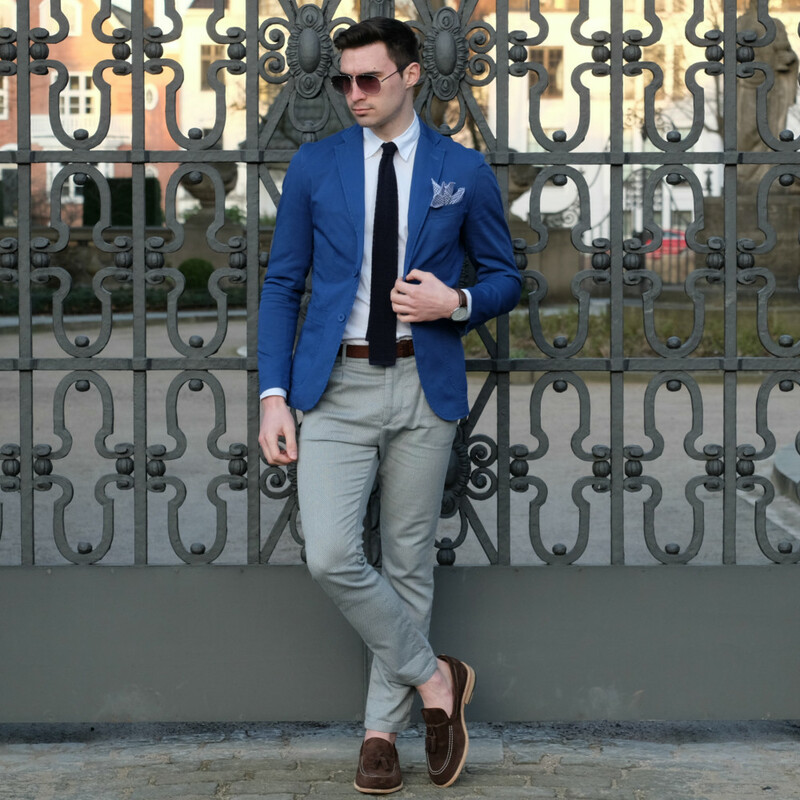 Amazing blue blazer and very cool shoes!!! I do love this shade of blue on you! The blazer is amazing...and you're right. 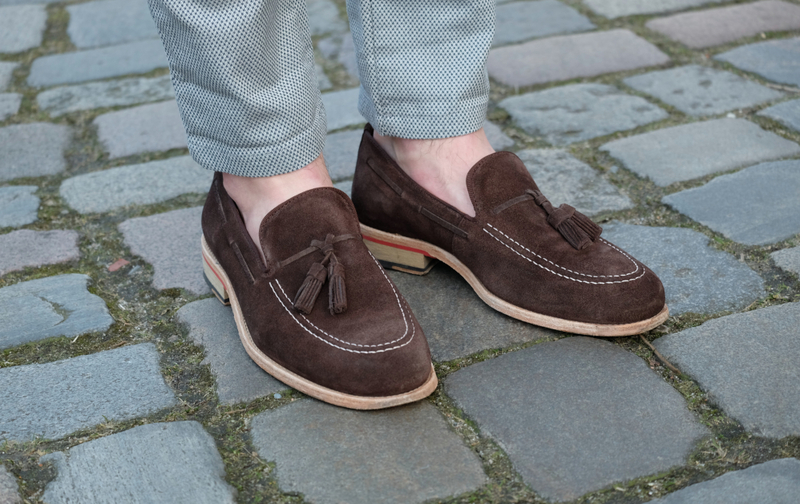 It is best to let this colour be the star of the look. Still, you kept things fun with those great pants. I like the dot print...very subtle but still adds a playful note to this smart outfit. 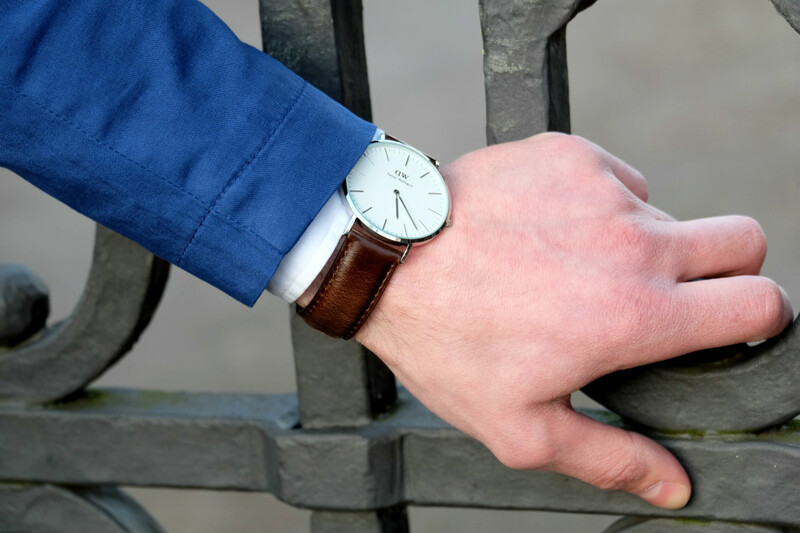 The watch goes perfectly with this look as well. Minus the socks? I haven't been so brave lately, but the first change I get, I'll give my ankles a rest as well. Ahhh, the bright colours and pastels are staring to make an appearance lately. Spring is really in the air isn't it? Your sense of style never cease to amaze me, Justin. Another winner here! Royal blue is a lovely blue. I'm also a fan of baby blue at the moment. Impeccable look today. Happens to me like Justin, get a little sun and I'm taking the opportunity to pull out all the clothes I have in the halftime locker. 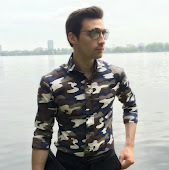 With this look you look handsome, elegant but with a touch of trend that does not add too old. A greeting and thanks for commenting on the blog. You look amazing Justin! 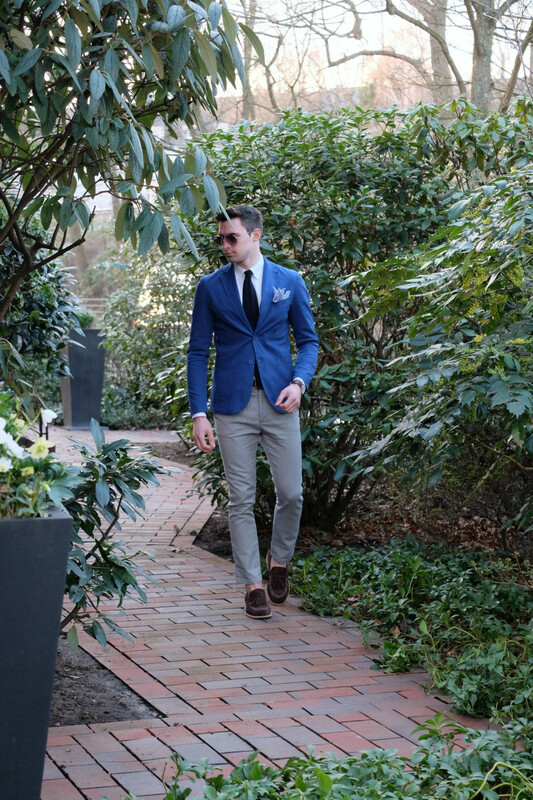 Blue looks amazing on you and you are every bit the dapper gentlemen! Great advise about the white shirt and coloured knit tie, you look super stylish as always! 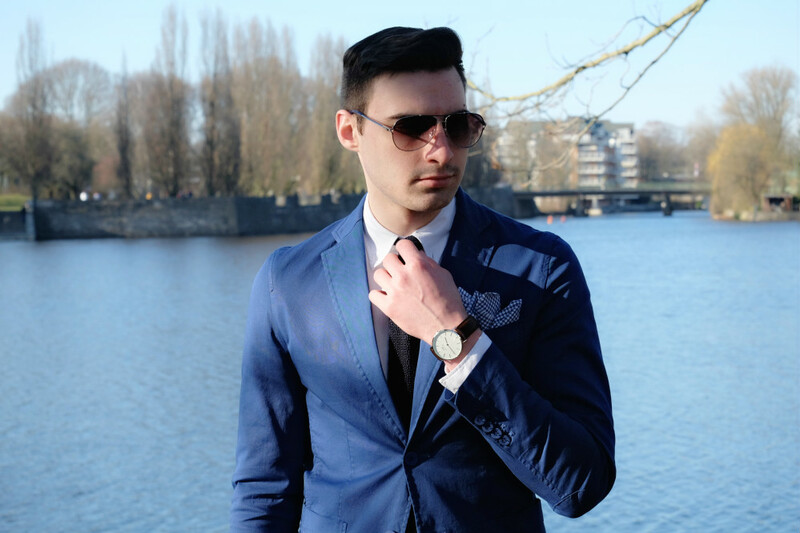 Blue is definitely your color and I am swooning over that DW watch!! 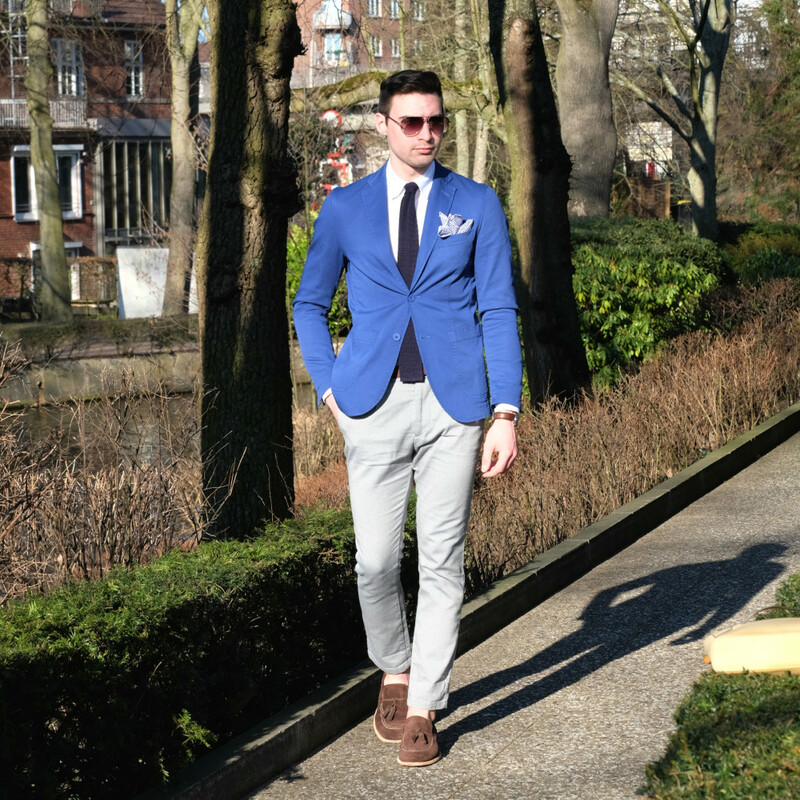 Nice jacket, that is a great colour and you styled it so well! I love the texture of your tie and those shoes are perfect!